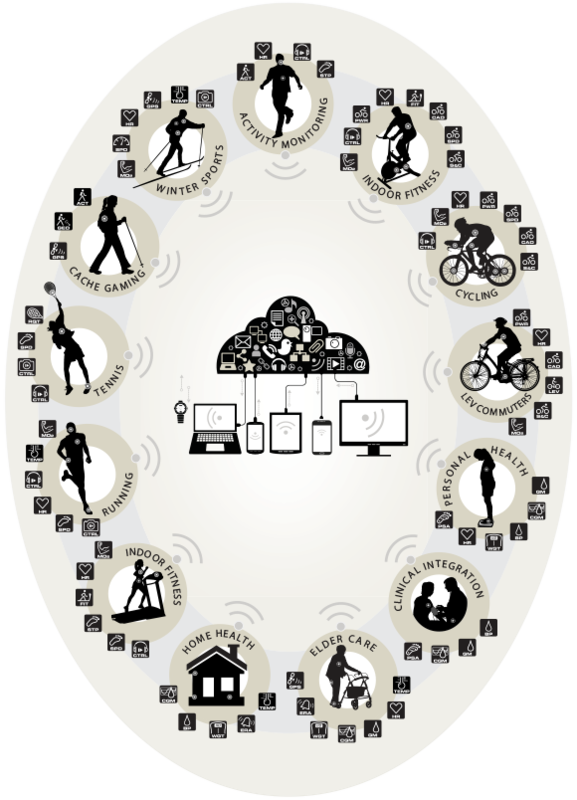 ecosystem of interoperable solutions for sport, fitness and health. The ANT+ Ecosystem has quickly evolved into the leading source of connected solutions for many different market segments. Driven by the extensive capabilities of the ANT+ technology and the creativity of the ANT+ Alliance Members, the ANT+ ecosystem features an unparalleled array of dynamic and practical products. Whether addressing an activity for an individual or a group, an application for sport or for health, the ANT+ Ecosystem continually delivers the peak of innovation to the market. Its success is due to the strength of the ANT+ technology, the reliability of the ANT+ interoperable standard and the collaboration with global industry leaders. Consumers are able to mix and match products and applications. To learn more, visit the ANT+ Product Directory. To learn more about the ANT+ Activity Icons, click here.